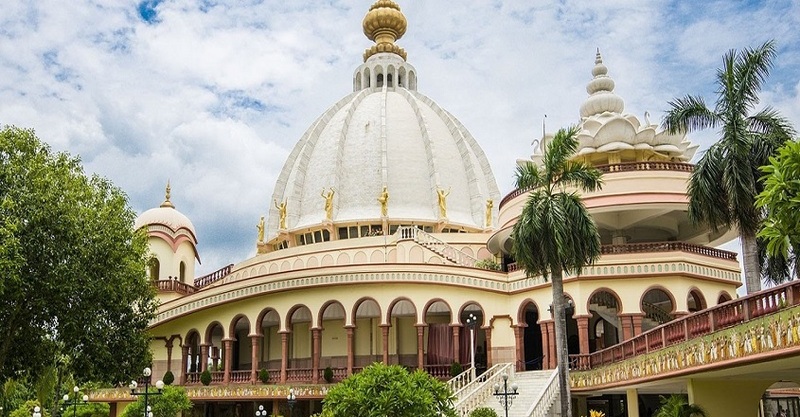 Mayapur is situated in an area somewhere in the middle of the rivers Hoogly and Jalangi and is one of the main of the nine islands of the Chaitanya Mahaprabhu's dham Nabadwip. It is located 130 km from kolkata and well connected by roads and rail networks from there. The holiest of all places in entire India, Mayapur Chandrodaya Temple of ISKCON is the major reason why devotees all over the world come to this sacred land. Inside you can see the magnificent deities of Pancatattva, Lord Nrisingha Dev, Srila Prabhupada and Radha-Madhav with the Gopis. This is a place flowing with devotion like no other place on earth. The religious ambience and the serene natural beauty of the place will bring peace to your troubled mind. The basic calm aura of the place will fill you up with happiness. And in a such a place if you spend one or two days attending the temple aartis and taking a campus tour with ganga bath then you are just released of all your miseries. ISKCON MAYAPUR provides guest house facilities for its visiting pilgrims with a wide range of facilities. You can book your rooms in advance while planning a trip.